Social media management can be extremely time-consuming. But there are also so many ways to boost your social media marketing and improve your social media profiles in just a few minutes. The short snippet of copy featured in your bio or about section is one of the first things people will see when they check out your social media profile. It’s important to think about what you’d like this copy to say about you or your brand. It could be interesting to think about what you’d like to be known for, for example, if you’re a real estate company or a content marketer, people should instantly be able to recognize that from looking at your profile. It’s also worth contemplating what people might search for to find you. Search is becoming increasingly powerful on social media, and if someone is looking for an individual or brand in your niche, then you want to show right up. Images are such an essential part of social media marketing, and none are more important that your profile picture. In just a few minutes you can fine-tune your profile image and ensure it fits within the recommended dimensions on each platform. Most social media sites will crop or stretch an image to fit within the allotted window, but if you want to make the best impression possible, it’s worth optimizing your images before you upload it. New social media platforms pop up on a regular basis, and as we all hop in to test the water and see how we can use each, we undoubtedly upload a profile picture in the process. Not every platform we test will become a mainstream hit and find its way into our long-term social media strategies. But even if you decide not to pursue an individual network it can be worth ensuring your branding is always up to date and that you link away to somewhere you’re a little more active. Audio has incredible potential and new apps like Anchor are making it incredibly simple to create audio content. If you want to foray into the world of audio, you could try turning a blog post into a podcast on Soundcloud, replying to some customers through voice messages or starting some conversations with followers on Anchor. When I have a spare few minutes during my day, I tend to spend it looking into analytics, and it’s truly amazing what you can learn by taking a quick peek at your social data. Facebook has some of the most in-depth analytics around, and Facebook Insights is like a goldmine for marketers. To access Facebook Insights, head to your Facebook page and then select Insights from the navigation. Twitter has some pretty comprehensive analytics available to all users (for free!). 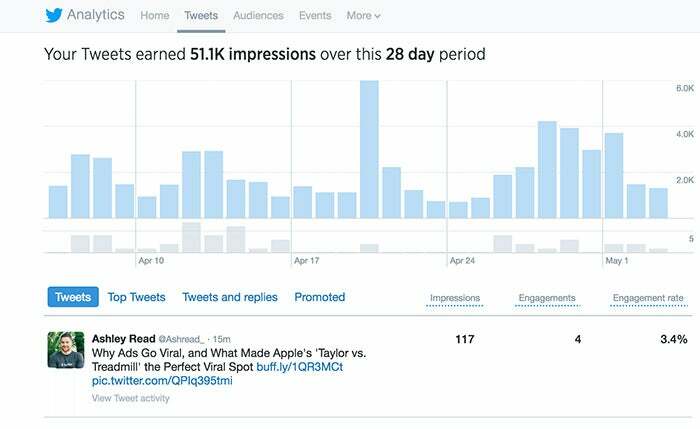 Using Twitter analytics, you can discover you most engaging Tweets, top mentions, audience information and much more. To access your analytics visit https://analytics.twitter.com/. 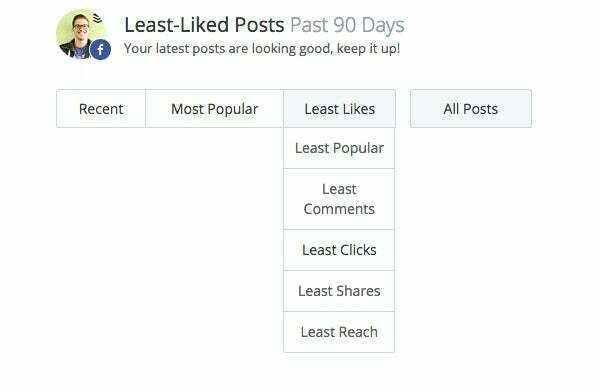 Consistency is an essential ingredient of any social media strategy, but it can get very tough to continually produce high-quality content every day (or even multiple times per day). When you have a few spare moments, you could open up a notepad or new document and write down every social media post idea that comes to mind. An unfiltered brain dump like this can be an excellent way to come up with some fresh ideas and keep your content rockin’. If you only share your most popular content once, you could be missing out on a ton of clicks and engagement. 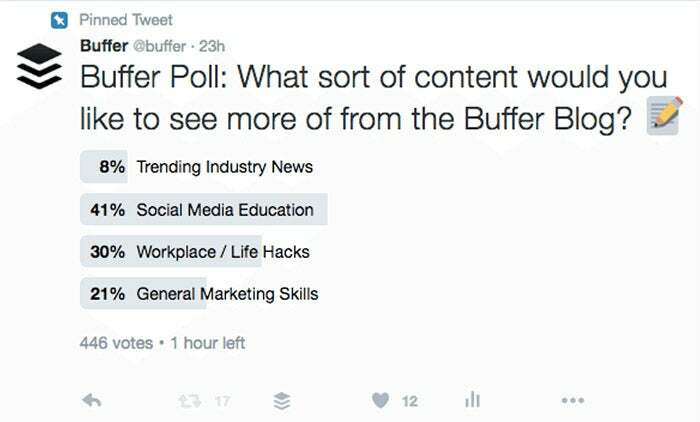 Something we like to do at Buffer is re-share our most popular social media content. From here I’ll then ‘Re-Buffer’ some of our most popular posts that have resonated with our audience to maximize the potential of every post. The links in your profile and some of the most visible on social media. It can be super interesting to measure how many people are clicking on these links and tracking their performance can give you some great insights. A couple of quick and simple-to-implement ways to track profile links are Bit.ly and UTM links. As social networks evolve, sponsored posts become an integral part of breaking through the noise and getting your content seen by your audience. 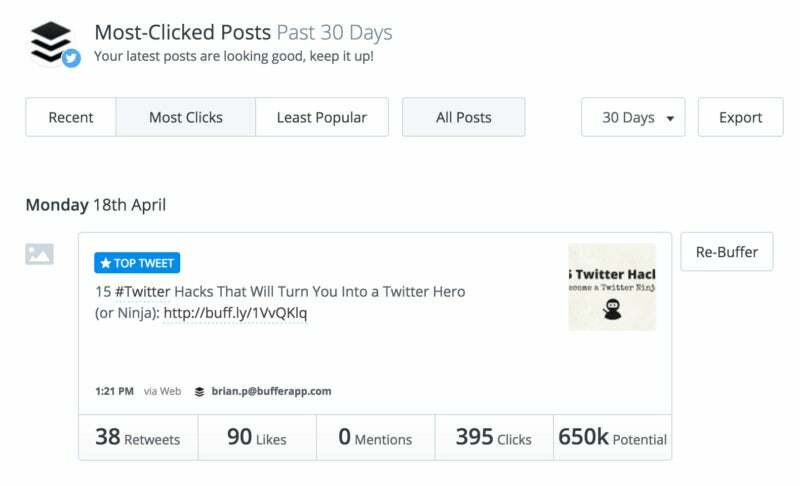 At Buffer, we tend to keep an eye out for any posts that receive above average engagement paired with slightly low reach and then sponsor the post to drive some paid engagement and clicks. New apps and social platform are launching daily, and as marketers, it’s essential to understand where consumer attention is heading. One of the best ways to keep on top of this is to ensure you spend some time experimenting with new platforms. The App Store is one of the best places to discover new platforms to test out. What I tend to do is head to the Social Networking category and scroll through to see which ones I’ve not heard of or used yet(there’s almost always a few interesting apps between positions 10-30). Twitter search is incredibly powerful, and one of the best ways to drive value from Twitter is by listening. Saved searches can be great to keep an eye on people sharing your content, keywords relevant to your brand and your mentions. 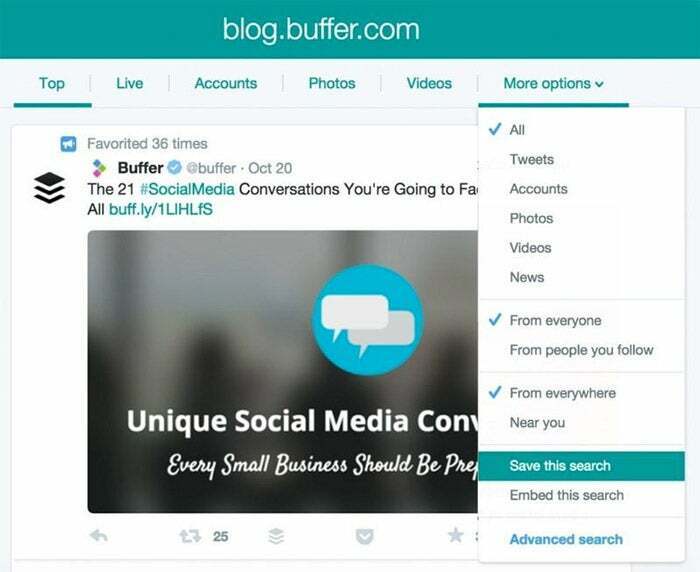 You can save up to 25 searches per account. To save a search, first, run a search, then click More options at the top of your results page and then click Save this search. 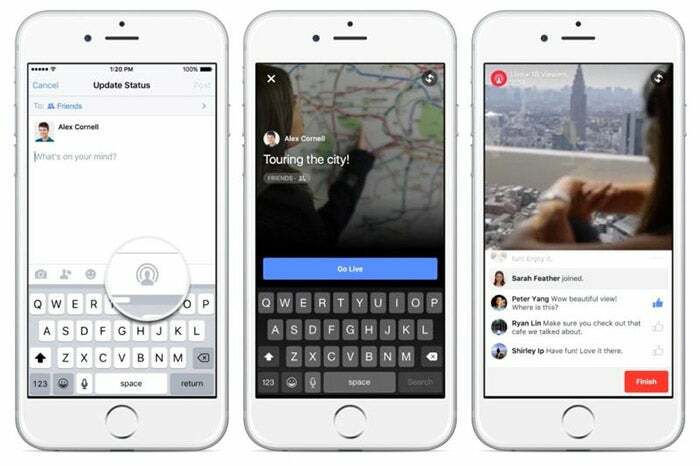 Facebook is currently prioritizing Live video in the News Feed, which means if you want to stand out, a Live broadcast could give you a great opportunity to do so. To start a live video broadcast, tap on Update Status and then select the Live Video icon. If you’d like, you can write a quick description and choose the audience that you want to share with before going live. During your broadcast, you’ll see the number of viewers, the names of friends who are tuning in and a real-time stream of comments. Broadcasts can be no longer than 30 minutes, and when you end your broadcast, it will be saved on your Timeline like any other video. We tested out Live for the first time a few weeks back when Brian and Joel ran an AMA. Visual content is incredibly impactful on audiences, and thankfully, it doesn’t have to take ages to prepare anymore. Tools like Pablo and Canva can help you create stunning ready-to-share images in minutes. One of the easiest social media experiments to run is to test different posting times and schedules. 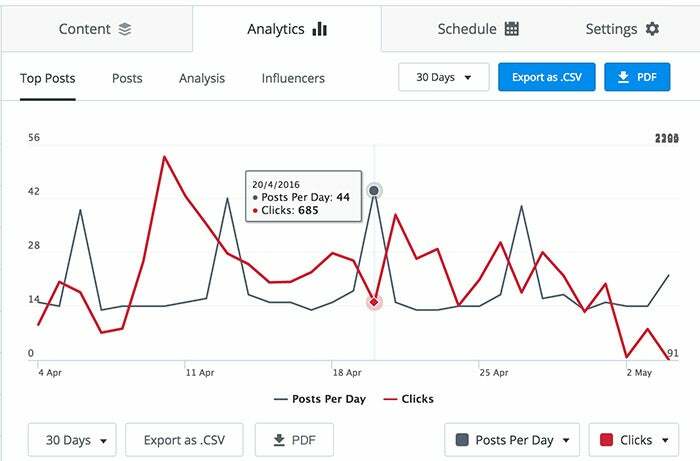 You can measure how different schedules affect your engagement by looking out for metrics like engagement per post, engagement per day and new followers. Asking for feedback is an amazing way to learn more about your product and your marketing. It only takes a few seconds to send out a post encouraging feedback and the learning can be invaluable.